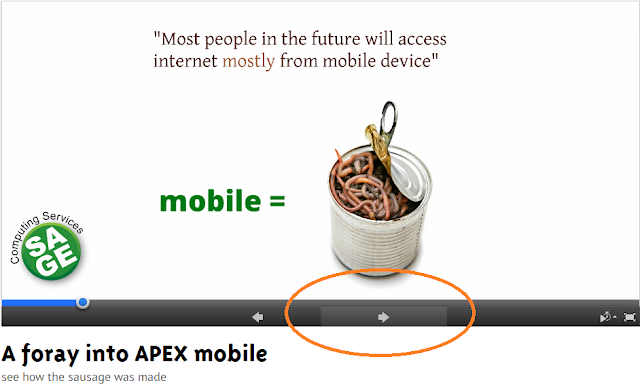 Here is the link for presentation I did at the 2012 Perth AUSOUG Conference - A foray into APEX mobile. It will link you to Prezi, where you just click the arrow through. It works better with a voice to go with, I might screen-cast it over YouTube sometime. I received some great feedback, thank you. With this new style, I have more ideas to come - not limited to purely Oracle.